Other than perhaps zombies, vampires are the current hot commodity when it comes to cultural icons. The romance, the danger, the less-than-subtle sexuality … now, if only they could dance. W. Earle Smith, artistic director for Madison Ballet, is the latest in a number of impresarios nationwide to tackle the question. Madison Ballet’s production of Bram Stoker’s gothic horror novel opened at Overture Center for the Arts’ Capitol Theater this past weekend to enthusiastic audiences who came to see just how much life the undead could breath into classical dance. The answer is quite a lot. Smith is not the first area dance master to bring Dracula’s story to the stage. Milwaukee Ballet’s Michael Pink produced his own version of the timeless tale a number of years ago and it’s now become part of the company’s revolving repertoire. What Smith’s version has that others lack, however, is a rock music score by local composer Michael Massey and a “steampunk” esthetic by set designer Jen Trieloff and costumer Karen Brown-Larimore. However, chances are that neither element adds as much as Smith probably thinks it does. The production is at its best when the dancers are allowed to do their jobs, and there are some lovely balletic moments buried under the thundering synthesizer notes. 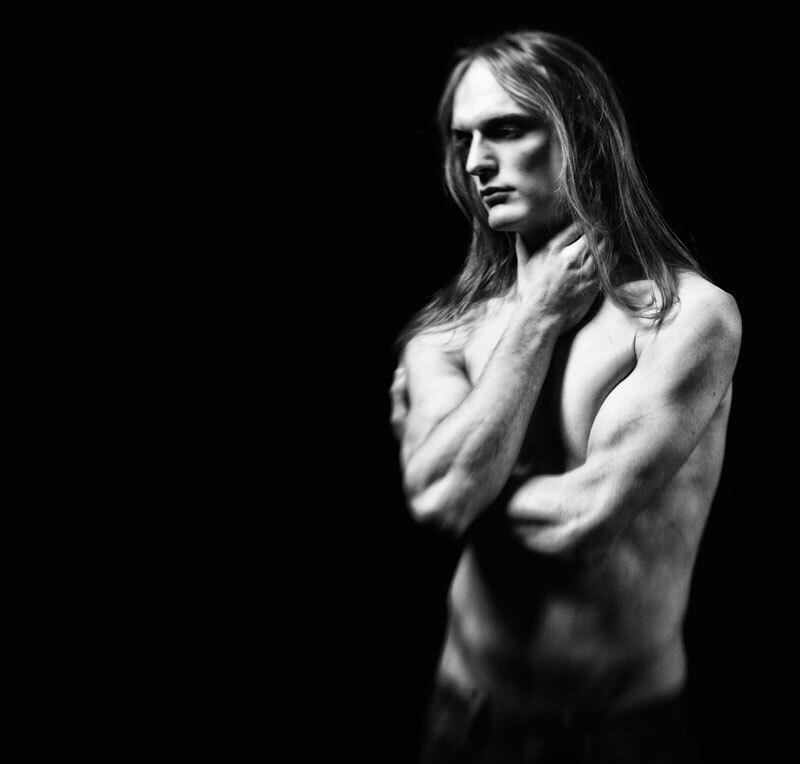 Dancer Matthew Linzer plays an androgynous, almost serpentine seducer in the title role, his long hair and towering height making him a physical standout among the crowd of 10 male and 8 female dancers. The fiery Lucy Westenra (Marguerite Luksik) succumbs to the vampire’s charms, while the more chaste Mina Murray (Jennifer Tierney) does not. But then Mina is betrothed to Jonathan Harker (Brian Roethlisberger) who himself is almost, ahem, sucked in. Dracula, it seems, is an equal opportunity vampire. Despite the helpful program notes, the narrative is difficult to follow unless you know the story well. We lost track during the 90-minute program’s first act until the appearance of Renfield (Jams Stevko), the asylum inmate who goes on to become Dracula’s minion. The pair dance a very engaging, even humorous pas de deux to one of the more lyrical moments in Massey’s largely derivative score. From a dance perspective, it was one of many such engaging moments. The rock music may help make the event accessible for ballet novices, but it does little to enhance the show’s artistry. Massey himself leads a seven-person ensemble at the back of the stage, sounding like part of the Trans-Siberian Orchestra that had gone off on its own rail spur. It would have been better to dial back the growling guitars and try for a sound a little more etherial, or at least original to give the ballet its own distinct voice. As for the steampunk esthetic – that fantastical view of the future through a Victorian lens – it does fit, but mostly because it applies to the same era in which the original novel takes place. With the exception of some ornate weaponry and the need for some of the characters to wear goggles on their heads, the costuming likely would have been about the same without the steampunk flavoring. Trieloff’s set is multi-tiered and nicely staged, but in the same way that “Phantom of the Opera” has become known as “The Chandelier Show” for the obviously dominant set piece, Madison Ballet’s production can be referred to as “The Gears and Girders Show.” Those who have seen it know what I am talking about. During Friday’s premier performance there were a few awkward moments that probably would work themselves out during subsequent performance. Dracula, after being mortally wounded by one of the many ornate weapons (not sure that part was accurate but I will have to check my vampire lore) takes awfully long time to dance himself to death before Van Helsing (Jacob Ashley) places an oversized stake near the vampire’s heart. He never quite plunges it into Dracula’s chest, but apparently the mere suggestion that he could is enough to finish the job. Taken in the spirit in which it was presented, “Dracula” is a lot of fun and good way for newbies to get their first taste of ballet. Smith, who sported a blood-red mohawk on opening night, has a little more work ahead of him, but no doubt the production will rise from the grave in future years. So, what’s next? “Swan Lake and Zombies?” The mind reels at the possibilities.